Greene Carrier Bronson (November 17, 1789 in Simsbury, Hartford County, Connecticut – September 3, 1863 in Saratoga, New York) was an American lawyer and politician from New York. He was the son of Oliver Bronson (1746–1815, a music teacher and publisher) and Sarah Merrill Bronson (1754–1825). About 1802, the family removed from Simsbury to Cazenovia which was then in Oneida County, New York. He was Surrogate of Oneida County from 1819 to 1821. He was a member of the New York State Assembly (Oneida and Oswego Co.) in 1822. He was New York Attorney General from 1829 to 1836. He was an Associate Justice of the New York Supreme Court from 1836 to 1845, and Chief Justice from 1845 to 1847. He was one of the first four judges elected to the New York Court of Appeals at the New York special judicial election, 1847, and was Chief Judge from 1850 to 1851 when he resigned. Bronson was among the founders of Albany Law School. 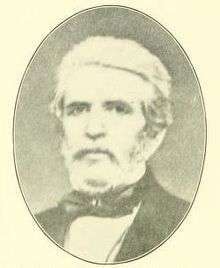 In 1853, he was appointed Collector of the Port of New York. At the New York state election, 1854, he ran on the Barnburner ticket for Governor of New York, but came in last of the four candidates of the major parties. From 1860 to 1862, he was Corporation Counsel of the City of New York. He died on September 3, 1863, in Saratoga, New York; and was buried at Green-Wood Cemetery in Brooklyn.